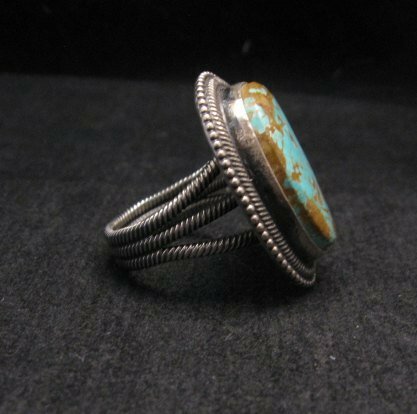 This Navajo made sterling silver ring features a gorgeous #8 turquoise stone, set in an old pawn style setting with a three wire band. 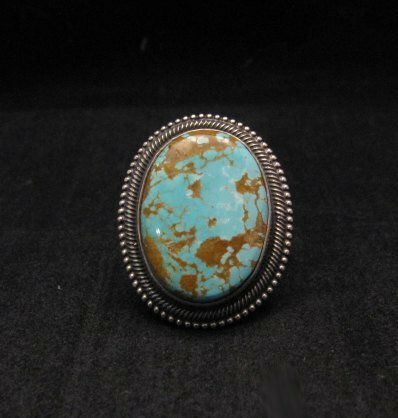 The natural turquoise stone is a robin's egg blue color with typical reddish brown matrix. Brand new and in perfect condition. 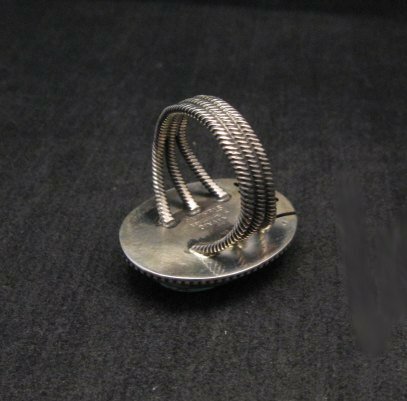 Hallmarked by the artist, Rick Martinez. Gift box and Certificate of Authenticity included with your purchase. Nice unisex ring. Size 11-1/2. 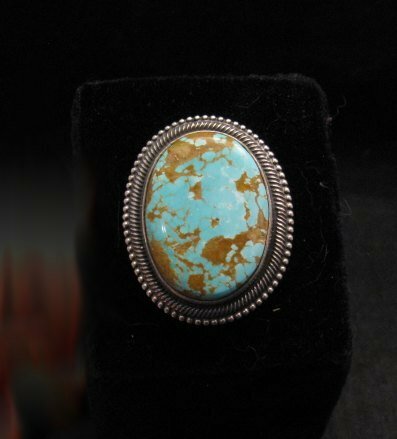 Number 8 Turquoise is one of the great Nevada turquoises and a personal favorite of mine. 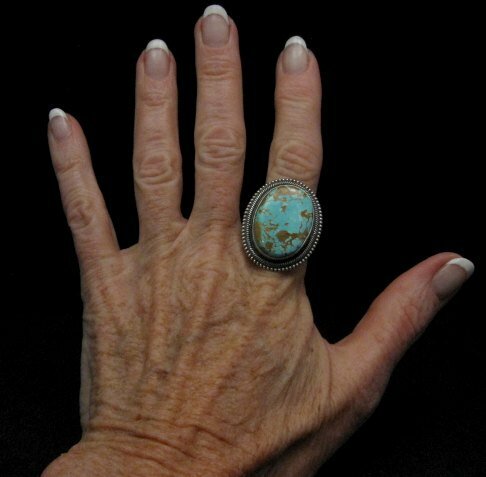 In its prime, the Number 8 mine produced some of the largest nuggets of turquoise ever found. The Number 8 mine was closed in 1976 as a result of the discovery of gold in the area and it has been swallowed up by the gold mining operations.